It looks like Pippa Middleton is following in the footsteps of her sister Kate Middleton with a royal birth plan of her own. There’s a new report that suggests Pippa might possibly give birth to her first child at the pricey Lindo Wing, just like the Duchess of Cambridge has with all three of her children in the past. Pippa Middleton is expecting her first child with her husband of one year, James Matthews. 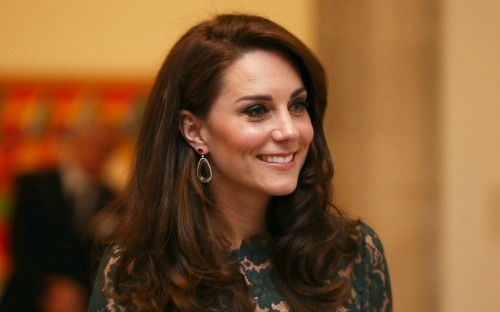 The birth will come just six months after Kate Middleton gave birth to her third child, Prince Louis. Pippa confirmed that she was expecting over the summer in her Waitrose column. Unlike Kate Middleton, Pippa said that she was lucky to not suffer from the same severe morning sickness that the Duchess of Cambridge had during all three of her pregnancies. According to the Daily Mail, Pippa and James were spotted making their way inside the exclusive Lindo Wing of St. Mary’s hospital, which is a short distance from their multi-million dollar mansion in Chelsea. This has prompted speculation that Pippa is looking to have a royal birth plan of her own as she might have the same premium service that her sister had while giving birth to her children at the hospital. Patients at the private wing are given their own room and en suite bathroom with an exclusive menu with gourmet food and even a wine list to celebrate the birth of a newborn baby. Some in room services also include a new parents’ massage, a fridge, and afternoon tea service. Of course, Pippa Middleton and James Matthews won’t be getting the same kind of media coverage that the Duke and Duchess of Cambridge receive each time they’ve been at the hospital. But for Pippa and James, there’s a chance that they might want to receive the same level or luxurious service and discretion that the hospital gives to the royal family as well. So far both Pippa Middleton and James Matthews have not made any comments about their pregnancy, nor have they revealed their due date. Many reports though suggest that Kate Middleton might have to miss out on Princess Eugenie’s wedding on October 12 as there’s a possibility that her sister might give birth any day now. In the meantime, don’t forget to check back with CDL for all the latest news and updates on Kate Middleton and the rest of the royal family right here. Kate Middleton and Meghan Markle’s Royal Friendship: Experts Weigh In – Are They Really Friends?